"First, this precious human birth, so favorable for the practice of the dharma, is hard to obtain and easily lost. At this time, I must make this meaningful." "Second, the world and all its inhabitants are impermanent. In particular, the life of each being is like a water bubble. It is uncertain when I will die and become a corpse. As it is only the dharma that can help me at that time, I must practice now with diligence." "Third, at death there is no freedom, and karma takes its course. As I create my own karma, I should therefore abandon all unwholesome action, and always devote my time to wholesome action. With this in mind, I must observe my mind-stream each day. " Fourth, just like a feast before the executioner leads me to my death, the homes, friends, pleasures, and possessions of samsara cause me continual torment by means of the three sufferings. I must cut through all attachment and strive to attain enlightenment. The language is a little strong, especially that fourth thought. I also spent a couple of years on these same four thoughts when I seriously begin to study and practice Mahamudra meditation. They were all I needed to get my mind right, with one exception, which is what I want to discuss here, and that was the fourth thought, the one about the shortcomings of Samsara, you know, the problems with this world we live in. Sure, I understood it somewhat, but I also found that I wanted to edit it a bit, give my own interpretation. I insisted on having a little more wiggle-room, which is not a good sign with dharma teachings. For some reason I could not as deeply embrace it as I had the first three thoughts. "The Shortcomings of Samsara," Samsara being this cyclic world of existence we all find ourselves embedded in – ups and downs. Sometimes the fourth thought is translated as "Revulsion at Samsara," suggesting that we reach a state of being repelled by this world. Well, I didn't like that translation at all, the idea of being revolted by this world, because in so many ways I love this world. So I kind of translated it for myself as "I will never get all my ducks all in a row." In other words, we can't game the system. Not only does death claim each one of us (second thought), but like a casino, the odds are in the house's favor (fourth thought). We will never game life. It games us. Now that was hard for me to accept because I am reasonably clever and somehow thought that at least I could game the system. I could probably get all my ducks in a row, at least enough to be content, if not happy. But I failed to understand one basic principle, and that was compassion. Compassion is like what happens when a drop of water hits the surface of a still pond; a ring of concentric circles gradually spreads out embracing more and more of the pond. Compassion grows and is ever more embracing the more realized we become. It is a simple law of nature, but one I failed to understand coming in. Way back then, it was just me. I was on my own and could take care of myself, and everyone else was in the same boat, taking care of themselves. This was before I had a wife, before I had kids, before I had grand-kids, and before I was that much interested in the welfare of my fellow travelers in this world we live in. That was a simple mistake (miss-take). 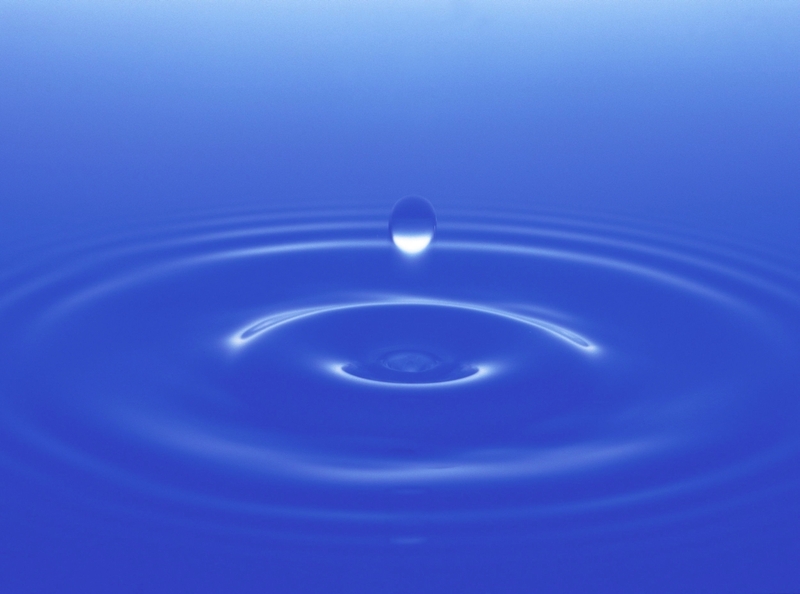 Like the ever-widening embrace of those concentric circles in the pond when a drop of water falls, my care for just me, myself, and I gradually broadened to include a wife, kids, grandkids, friends, co-workers, and more. It was no longer just me I cared about. I knew little to nothing about compassion early on. Sure I felt compassion for the animals that suffered in the harsh Michigan winters, and beings like that, but people? I didn't dare start caring about people. That was just too much responsibility for essentially a kid. My point is that as compassion grows, and it does with age and experience, our mandala or the envelope of what we can embrace and care for widens. It becomes ever more inclusive. It is no longer just myself that I care for, whether I am personally content or not, but all of those I have come to know and love. How is it with them? Sure, I can try to maintain a cheery attitude when all is well with me, while others I love around me are suffering and in trouble. My previous attitude was something like "Of course I wish everyone well, but not at the expense of my feeling content – that sort of thing." But I find that this kind of attitude does not extend to my family, to my wife, kids, and grand-kids. When they are hurting, I am hurting. And where does the line stop? The simple truth is that it does not stop unless we stop growing inside. This simple principle is what leads to what is called the Bodhisattva Vow, the vow (as Buddhists point out) to not find peace until every last being is enlightened and finds peace. I don't see there is a choice here. The moment we care or feel compassion for at least one other person (or being) in the world, our choice is made for us. There is no turning back. We are all bodhisattvas in the making. "Revulsion at Samsara" is a natural correlate to having compassion. How can I be happy if one of my family or friends is deeply suffering. The bottom line is that I can't, not if I care, and I do. When I witness the sufferings of those around me, I get world-weary, just tired of ignoring all the suffering in the world, and I feel less game, not willing to just go along with my normal attachments, not feeding them so much. I guess what I am saying is that, at long last, I am beginning to understand that "Fourth Thought That Turns the Mind," the "Revulsion of Samsara," this world and its shortcomings. As John Donne said: "No Man (or Woman) is an island."